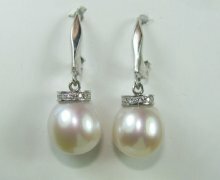 Pearl earrings with stud diamond and chain. 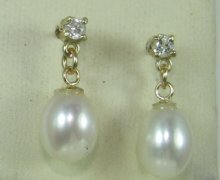 Stud diamond earrings with pearls hanging on chain. 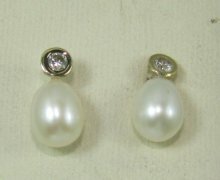 Stud diamond earrings with drop shaped pearls. 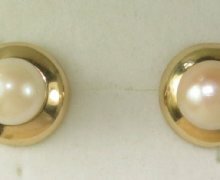 Stud earrings with drop pearls. 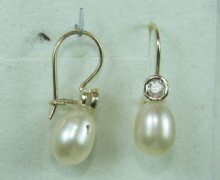 Hanging diamond earrings with drop pearls. 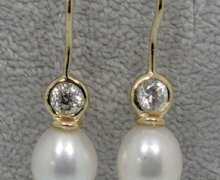 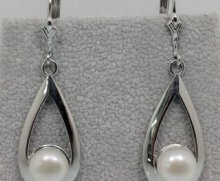 Hanging earrings with diamonds and drop pearls. 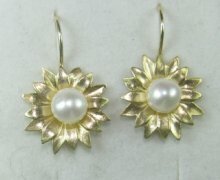 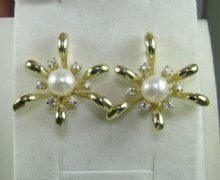 Flower shaped earrings with round pearls. 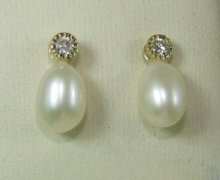 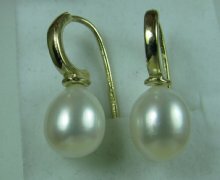 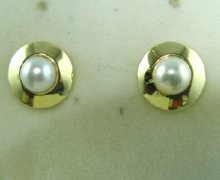 Pearl earrings with diamond disc on top. 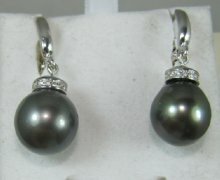 Black pearl earring with diamond disc. 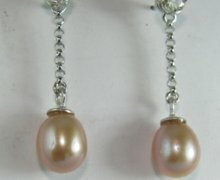 Long hanging diamond and pearls earrings. 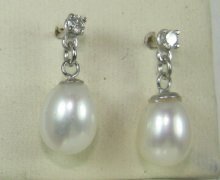 Stud earring with white or colored pearls hanging from chain. 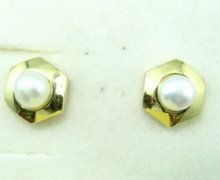 Round pearl stud earrings with hexagonal frame. 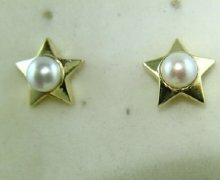 Stud pearl earrings with star shaped frame. 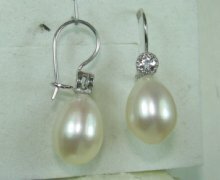 Pearl earrings simple and beautiful. 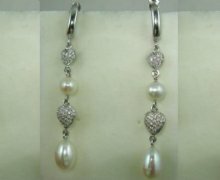 Complete set of pearl and diamonds ring 8795 - pendent 8794. 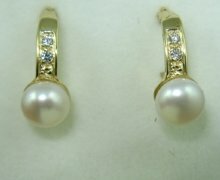 Complete set for gold and diamonds and pearls Ring 7682.